Organized by the Taiwan shooting association (CTSA) in conjunction with the Sports Administration under the Ministry of Education, the March 27 to April 1 event involves 120 competitors from 11 member federations of authorizing body Asian Shooting Confederation. SA Director-General Kao Chin-hsung said the event is a perfect fit for the recently completed state-of-the-art range in Guishan District. World-class facilities and second-to-none diet, physical conditioning and training support are readily available for the participants, he added. According to Kao, the championship will help raise the profile of shooting as a sport in Taiwan while showcasing local talents and expanding exchanges among athletes from home and abroad. The range also impressed ASC President Sheikh Ali Bin Abdulla Al Khalifa. Following an inspection tour of the facility, he described it as a credit to Taiwan and testament to the country’s ability to stage international sporting events. 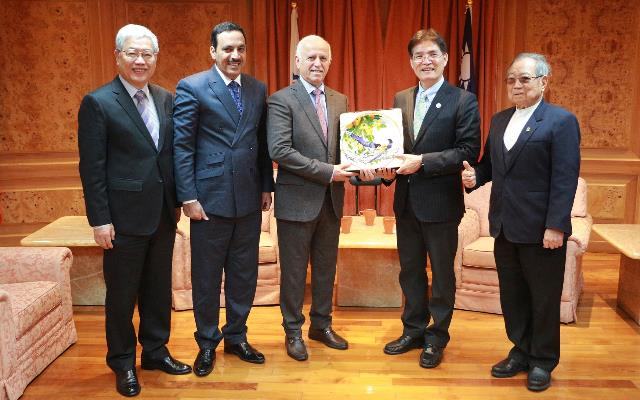 According to the ASC, the Kuwait-headquartered organization is grateful for the hard work and professionalism of CTSA and SA in holding the championship, and will be encouraging national teams from around the world to consider Taiwan as a base for preparations in the lead-up to the 2020 Summer Olympics in Tokyo.